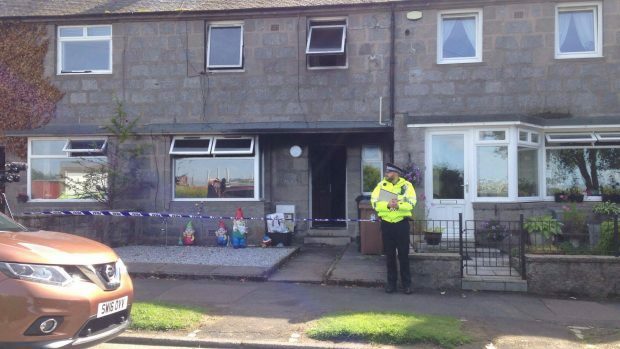 Investigations are continuing into the cause of a house fire in Aberdeen. Fire crews rushed to the scene at Deevale Road at about 9.35 am yesterday pulling a woman and three young children out of the home. The 39-year-old woman and a five-year-old girl suffered serious injuries and were taken to Aberdeen Royal Infirmary, along with a 12-year-old girl and another five-year-old girl. The road was closed for several hours while the incident was dealt with but has since re-opened. Police tape was still present at the house today and inquiries are continuing into the cause of the blaze.